Provides the skills to turn your creative vision into a marketing strategy and find the technology to support it using the Internet. Softcover. There is one basic difference between this book and the many others on similar topics: This one works! 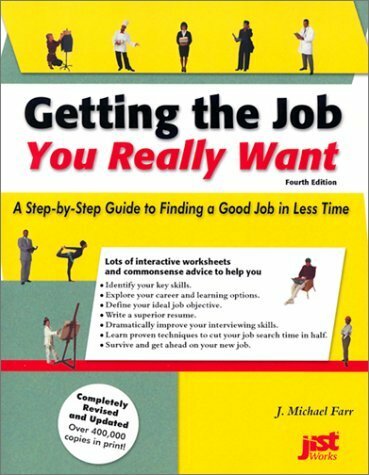 For over 20 years, the author has refined techniques presented here , and they have helped over a million people find better jobs in less time. These techniques increase results in job search programs -- even in areas of high unemployment -- for career changers, students, unemployed professionals, and anyone planning a career or looking for a job. 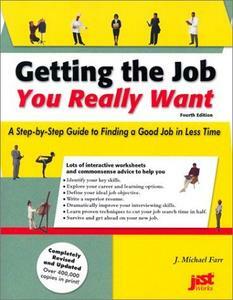 In a project demonstrating the techniques in this book, 96 percent of the participants got jobs in an average of 21 days. Remarkable, this occurred in the city with the highest unemployment rate at the time -- over 25 percent.This completely revised book provides practical and easy-to-use advice in a lively, interactive, and interesting format. Whether you have a clear job objective or not, Getting the Job You Really Want will help. You learn quickly how to: Many consider Getting the Job You Really Want the best book of its kind because of its results-oriented approach. This might explain why the author's books are the most widely used in job search programs in North America. is the president of , an organization widely known for its innovative and results-oriented job search methods. Mike has been teaching these self-directed techniques--proven to reduce the time it takes to find a job--for more than 20 years to help people take control of their careers and lives. For these reasons, job search programs throughout North America have adopted Mike's techniques. His previous job search and career planning books have sold more than 1 million copies because readers know he provides practical, common sense advice that gets results.